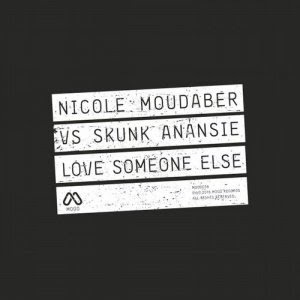 The electric creative energy between Nicole Moudaber and Skin peaks once again: First came last summer’s ‘Someone Like You’_Nicole Moudaber vs Skunk Anansie - Love Someone Else_ Released by: MOOD Records Release date: 9 December 2016 - Track? !D. The electric creative energy between Nicole Moudaber and Skin peaks once again: First came last summer’s ‘Someone Like You’. Their full ‘Breed’ opus followed, causing craterous rifts in the MOOD catalogue that were consummately filled by Skin’s Juvenal alter ego months later. Now ‘Love Someone Else’: a project that compounds the relationship between the two noir renegades as Nicole revisions Skunk Anansie with exceptional, perception-blurring results. The main version skips the warm up exercises and goes straight in with one of Nicole’s warmest palpitating drum sets. Stately thunder: each drip-fed element plays a crucial role as we lead into the evocative, icy and ultimately timeless chords. Switching out the kicks for Skin’s ghostly vocal refrain, there’s a moment of total planet-aligning shivers before those thunderous beats kick back in. Don’t be fooled by the second mix’s title; it’s not ‘Beatless’ in a traditional sense – there’s still a soft focus rhythm kept by the palpitating subs, and mechanical arpeggio, but her removal of her widescreen drums does three things: reveal the naked magic of the track, add glaciers of ice soul to Skin’s vocal on the breakdown and offer you a whole extra layer of mix creativity. Two of Nicole’s most requested tracks lately, fittingly they were premiered during one of her and Skin’s select b2b sessions this summer. Yet another outlet for their electric creative energy, something tells us their work together still has much more to give.